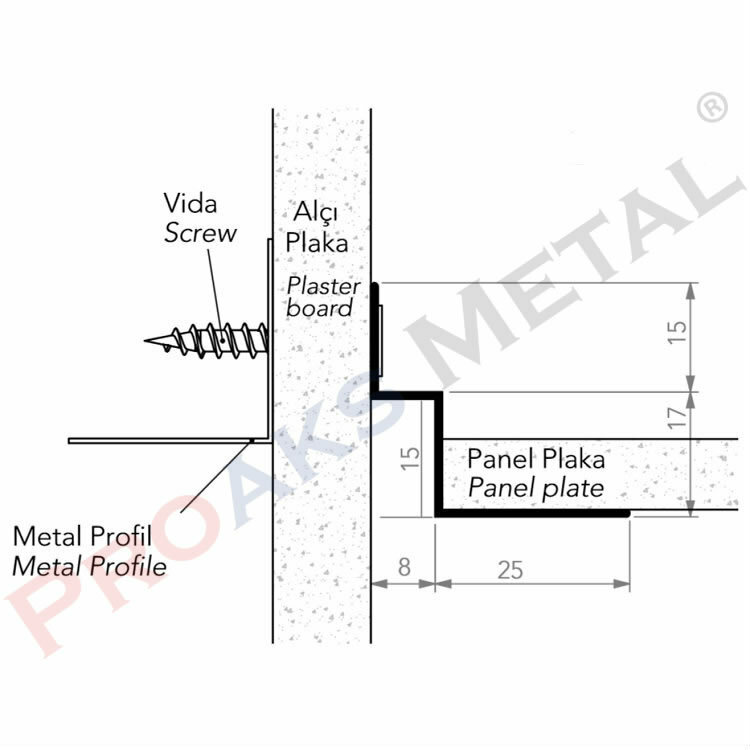 Our company has started its activities by producing the export of drywall profile, detail fuga profiles, suspended ceilings, gypsum board products, rock wool sectors. 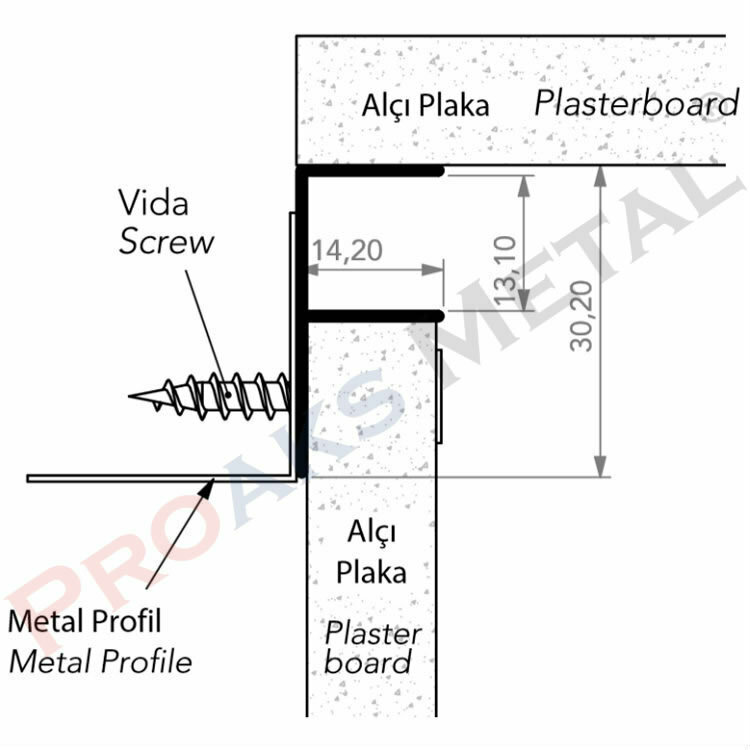 Firstly drywall profile, plasterboard, suspended ceiling, rockwool applications; corner joints, two different parts of the combination, to prevent cracking. The first reason; Fuga do, the second reason; The decorative image is to take. 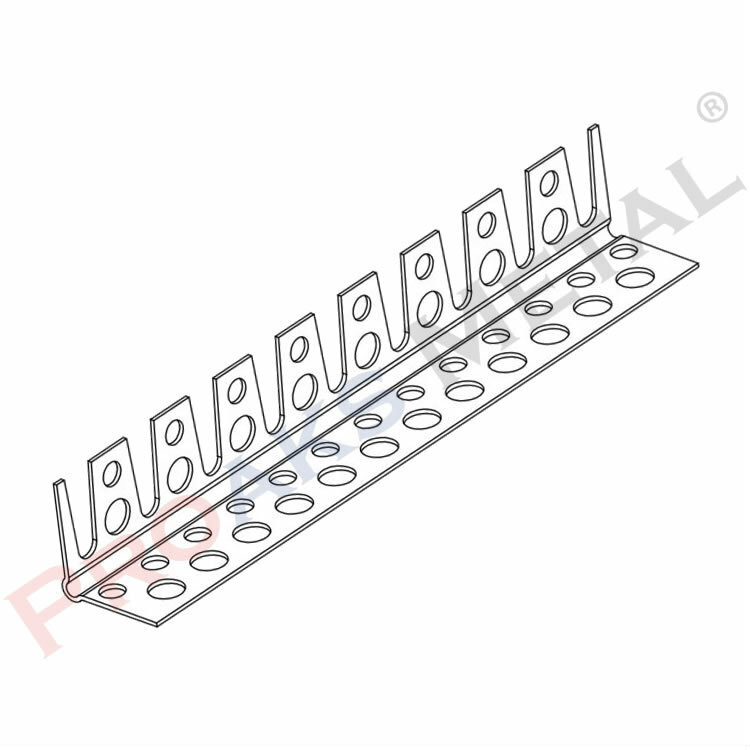 Gypsum board plates ensure that corners finish smoothly, provide a quality appearance as desired by customers, and provide a clear solution in fuga profile, suspended ceiling and rock wool applications in hidden light band operations. The construction industry has evolved over the years, as in everything else. Thus, structures of wonder of design began to emerge. Not only structures, but also the interior of buildings have become more aesthetically pleasing due to various building materials. In our country, the most important change that provides privileges in the interior of the houses was undoubtedly the discovery of gypsum. And cracking in the joints of the designs created thanks to the plasterboard detail profiles was prevented. In fact, the ceiling of the houses that come to mind when you think about drywall! In the years when it was first used, almost everyone who was going to paint his house had the opportunity to meet plasterboard. Plasterboard ceilings, a new trend for those times, would not only merge from the corner to the corner with the plasterboard detail profiles, but would also take place in the houses with relief patterns at the center of the ceiling where the chandelier was hung. 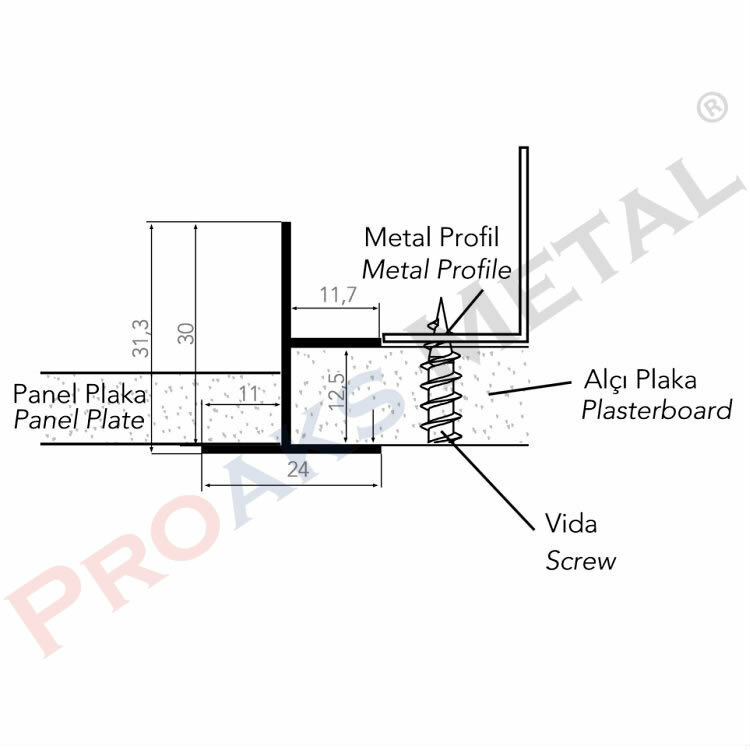 Later, it is seen that a lot of plasterboard was used in the design of new buildings. This material, which is made of gypsum board, which is made of two sides of cardboard, which is made of plaster and special sizes and which is given to smooth surfaces, has not been produced for use in ceiling decoration. The main and most important purpose of use in buildings is to create a new room or try to separate the space with a wall or to create a suspended ceiling. Furthermore, it should be kept in mind that gypsum plasterboard sheet, with its resistance to fire and water, and its structure which can stretch in an earthquake, minimizes the damage and provides the usage advantages with the sound and heat insulation it creates. Of course, all these mentioned elements need a detail profile in order to be realized correctly. 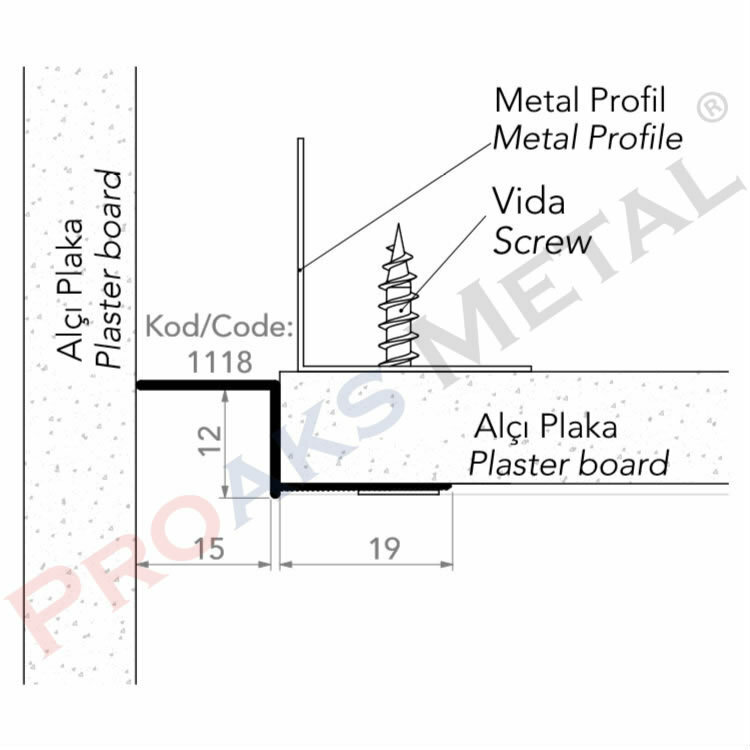 Where is Gypsum Board Profile and Where to Use? 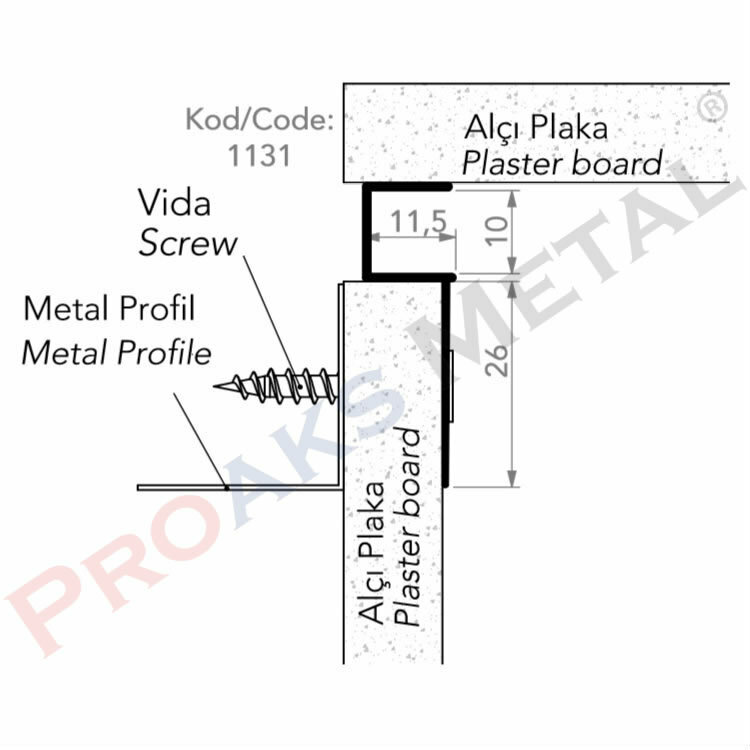 The detail profile of plasterboard sheets is of great importance. No one would like to see the cracking on the edges after a few hours of working in the plasterboard. 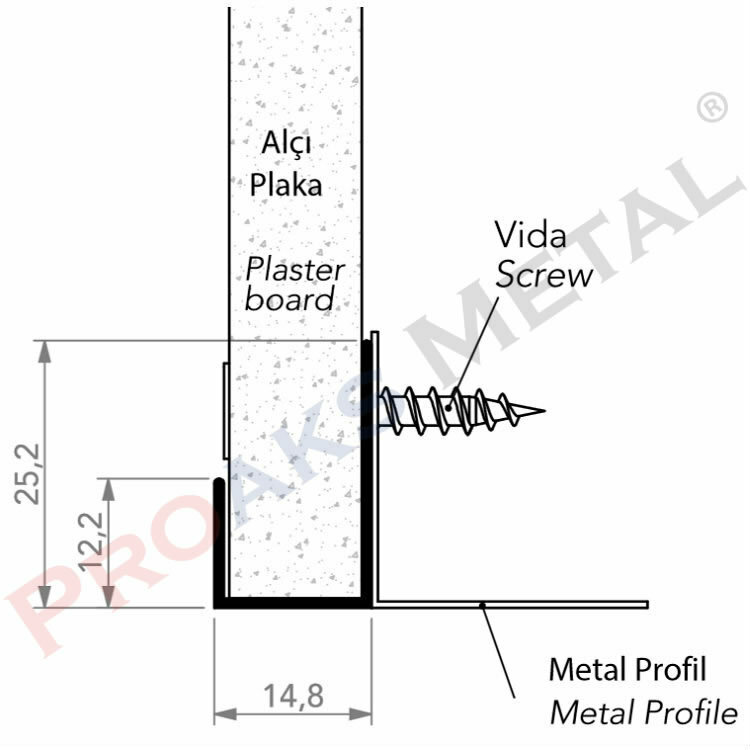 For this reason, detail profiles are use while plasterboard projects are apply. The detail profile of many different parts is require at the junction of the two different parts, at the wall joining points with the ceiling, and the sections using the hidden light band. 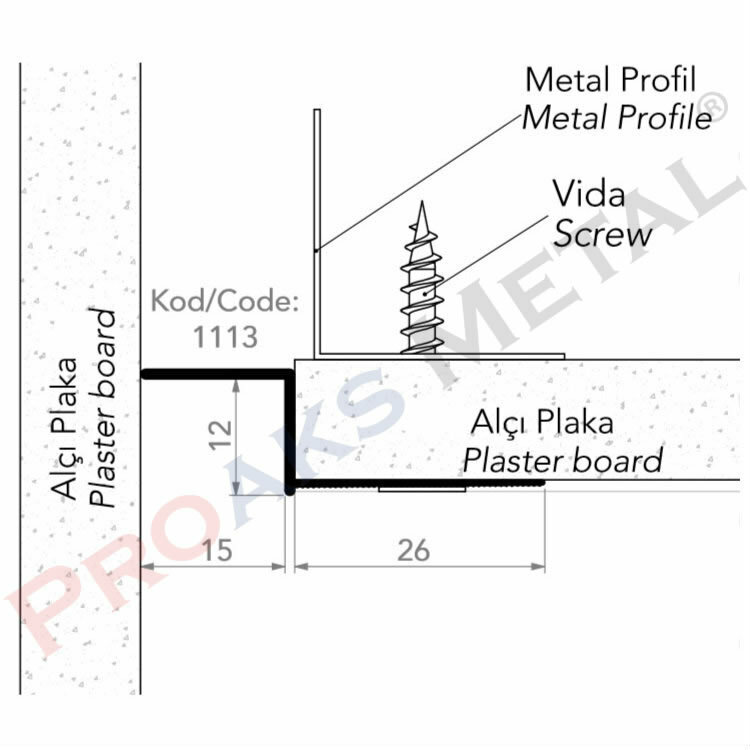 When the Fuga profile is evaluated in terms of usage, it is seen that it is not only consisted of providing high quality and decorative image when applied on gypsum board sheets. Another important area of use is to make fuga. 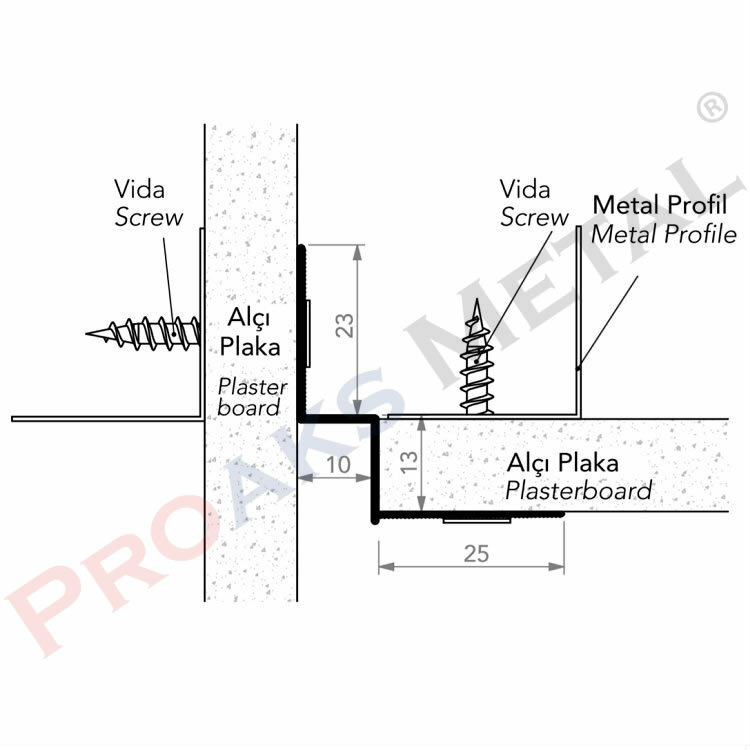 Also drywall profile is a durable and processable filling material. And usually used in jacketing. 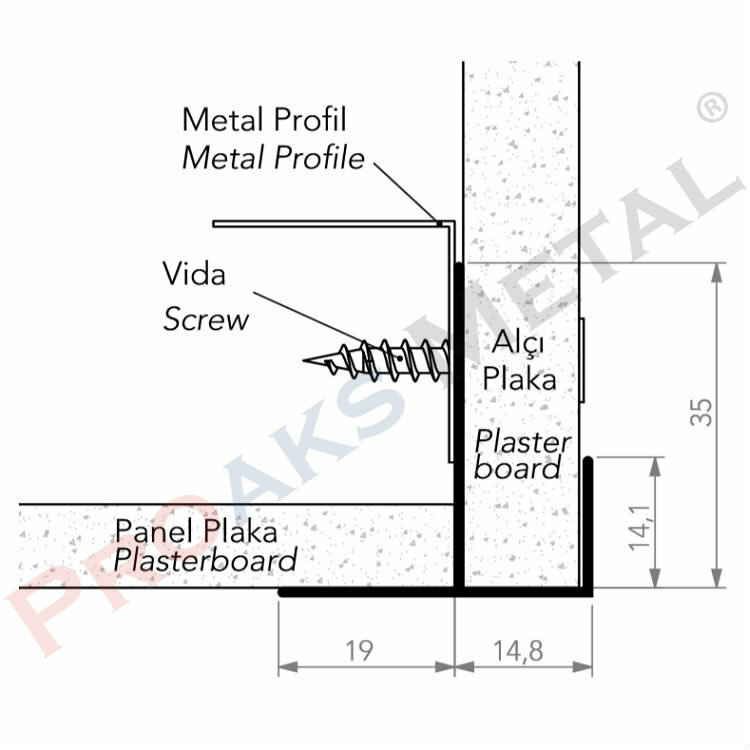 It is due to its aesthetic appearance and its ability to make decorative plaster and paint without the need to make additional during the jacketing. 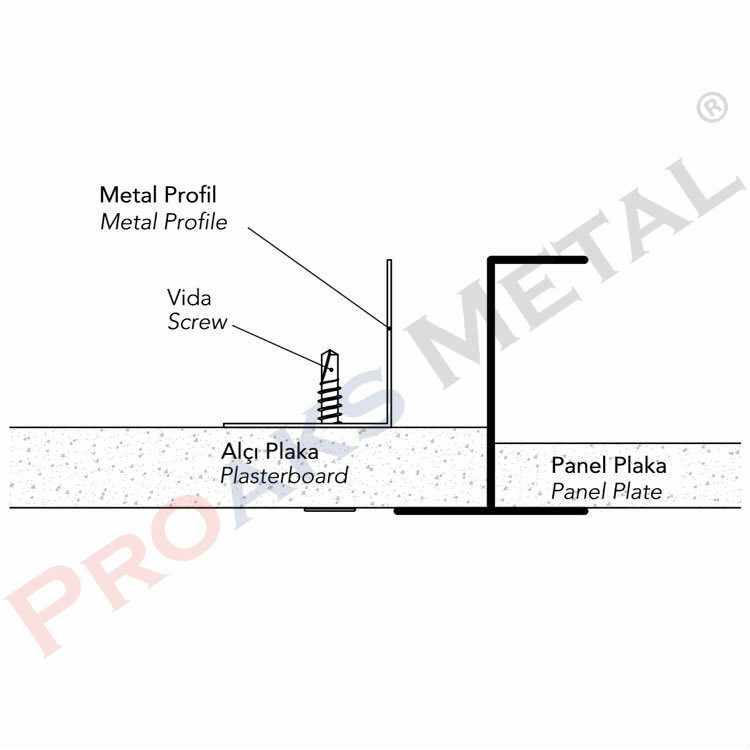 During this application, detail profiles to ensure the implementation process properly adhered to. Details Fuga profile used what reason? To give an example application used for decoration at the junction of the wall met the ceiling. It used in building exteriors at the intersection with the chamber ceiling wall. Exteriors of buildings where the two roof sections used in the process. Both the outer wall, because of the applications used in both external plaster. 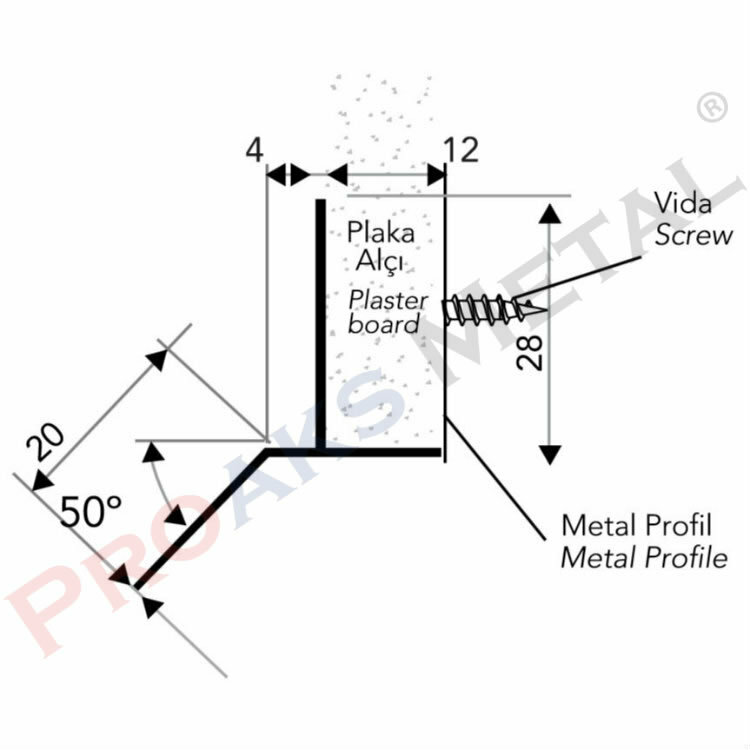 Finally for more information on the dimensions and price of drywall profiles please contact us.